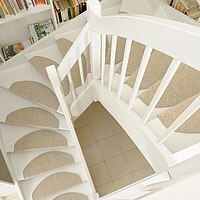 Stairs don’t merely have a functional purpose; they can also serve as a design element in your home. 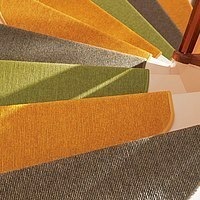 Thanks to our huge range of colours, these stair mats open up countless design possibilities. 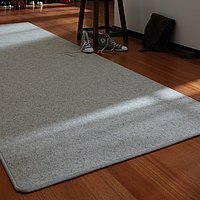 And not only can they be installed quickly and easily, they also provide outstanding underfoot comfort and prevent slipping on stairs. Yet another design option for your stairs involves aluminium stair profiles. A sure-footed walking experience on stairs is warranted by the profile grooves. 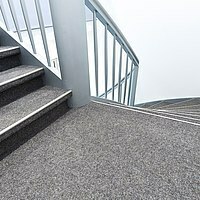 In conjunction with tretford carpet, the stair profiles offer footfall sound insulation and enhance underfoot comfort. tretford runners made of Cashmere goat hair will add colourful accents to your hallway. They are hardwearing and provide underfoot warmth.